* AIB Commissioner, Engr. 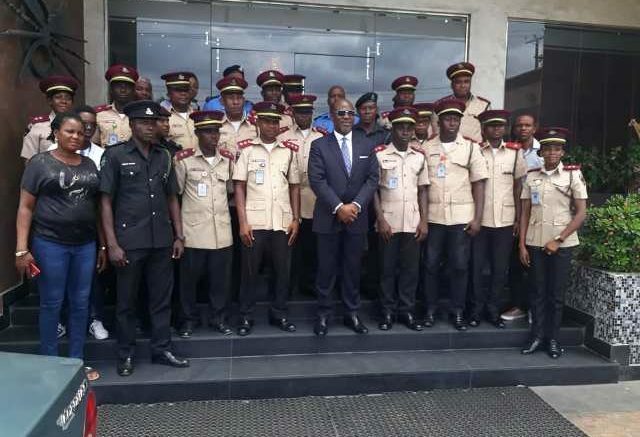 Akin Olateru(in suite) flanked by personnel from Federal Road Safety Corps (FRSC) in a group photograph shortly after the training. 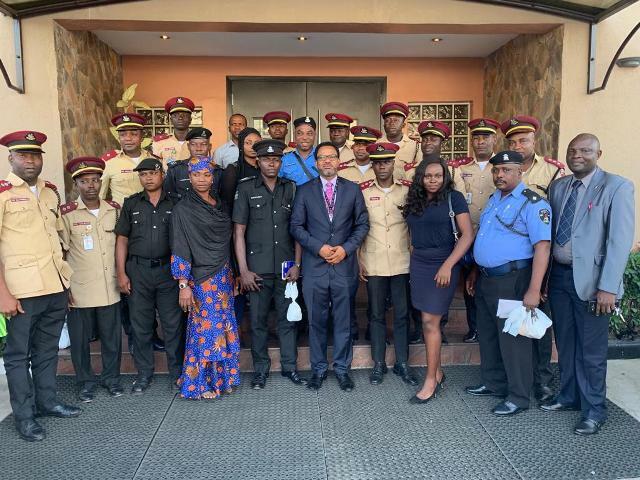 Accident Investigation Bureau (AIB), a body saddled with responsibility of investigating air incidents, serious incidents and accidents,in collaboration with its UK partners have commenced training for security agencies personnel in Lagos and Abuja. The two-day workshop, with the theme: ‘Air Disaster Management.’ which commenced on Monday in Lagos and ended yesterday, focused on protection of investigation evidences by first responders who in most cases are personnel of security agencies. 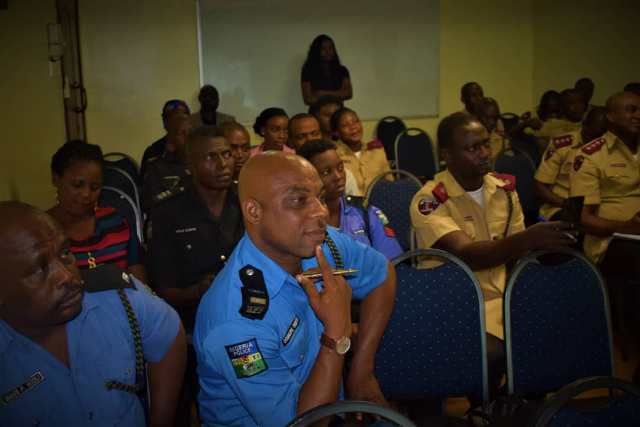 No fewer than 400 personnel, drawn from Nigeria Police and Federal Road Safety Corps (FRSC) were trained in Lagos and Abuja by top officials of the bureau and its partners from the United Kingdom. The General Manager, Security and Safety, AIB, Mr. Olumide Osineye, who was one of the instructors at the workshop, said that the training of the security personnel would create awareness across the country on the importance of securing crash sites. Osineye said that the training would enable the trained security agencies’ personnel to know and understand their roles in case of an accident, stressing that they would also be able to identify and appreciate the need for protection and preservation of evidences to aircraft accident investigation. “You can imagine a police officer who is not aware of critical evidences like flight recorder. A police officer on site who has never seen flight recorder before and may be a flight recorder is being taken away ignorantly by unknown person. This is very critical to investigation,” he said. “In order to help and support AIB investigation, we hold it a duty to ensure that such category of trained personnel or organisations are aware of such critical component. These people are necessary for their education and awareness of their job,” Osineye added. Osineye further explained that it was not the first time AIB would be organising such a workshop for security personnel, adding that the bureau recently organised training for some police officers in the country. * Inspector Seye from Airport Police Command and other participants at the training . He commended the Commissioner of AIB, Engr. Akin Olateru, for ensuring that security personnel in the country were trained on air accident disaster management, stressing that this would go a long way in improving the performance of the bureau. The General Manager, Security and Safety pointed out that the feedbacks received so far from the previous trainings were encouraging, assuring that this would also add to the knowledge of the personnel. Be the first to comment on "AIB, UK Partners Collaborate To Train Security Personnel In Lagos, Abuja"